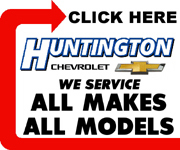 Economizing is the name of the game for Huntington County, IN, governmental units. Especially after Huntington County Auditor Kathy Juillerat informed members of the Huntington County Council on Monday, Feb. 23, that the state's Department of Local Government Finance (DLGF) had made large reductions to the county's proposed budget - with the deepest cuts coming in the county's health and highway departments. "They've OK'd the budget, but they cut the operating balance by a couple of hundred thou-sand," she told council members. But some county departments have some ideas to save money. County Clerk Vicki Stoffel says she doesn't need to spend $12,000 on new voting ma-chines, and instead proposed spending only about $4,400 to clean and service the machines the county already has. Stoffel, who also announced that she plans to resign as clerk at the end of this year, says that annexations and shifting populations will force realignment of voting districts. She says she will be able to accommodate voters with fewer machines, and doesn't want to purchase the additional machines in light of the fact that the state is moving toward vote centers instead of voting precincts. Council approved the use of the money to clean and service the current voting machines. Mandy Reber, director of the Huntington County Boys and Girls Club, and Melissa Phillips, director of the Local Anti-Drug Coalition Effort, say they have a chance at getting a five-year grant, for $125,000 a year, to fight substance abuse by Huntington County youth. Part of that money, Councilman Don Schoeff says, could be used to pay the county's share of a school resource officer - a payment the county suspended several years ago. The resource officer was originally funded through a grant but, when that grant ended, the city, county and school corporation split the cost. Several years ago, however, the county said it could no longer afford its $18,000 share and pulled out of the agreement. Council gave its support to Reber and Phillips for the grant application. Juillerat and Ryan Wall, assistant manager of the county's information systems department, say they must spend money to comply with a state mandate forcing the county to coordinate a property database among three offices - the auditor, the assessor and the treasurer. The state has also mandated that counties prove they are in compliance with the state rules, and has certified only one vendor to provide the certification - and that vendor is charging $7,250 a year for its services. But, Wall says, he's working with several other counties to form a cooperative that would provide a less expensive way of providing certification to the state that those counties are in compliance with the state mandate. Tom Wall, president of the Huntington County Board of Commissioners, says he thinks it's possible to train current county employees to maintain the county's Geographic Information System (GIS) - and that department heads are willing to be trained, with no increase in pay - negating the need to replace the recently-fired GIS Director Mike Snelling. "It's possible, if this does work, we can save the county quite a bit of money," Wall says. Even a County Council member got in on the act. Councilman Chris Hoke wants to explore the possibility of banding together with the city, county, townships, towns, schools and any other interested government entity to form a purchasing cooperative - a cooperative that could buy items in larger quantities, and thus qualify for lower prices. County Attorney Robert Garrett says the idea has been proposed in the past, but was "not politically feasible at the time." Now, however, Hoke believes county officials will probably be willing to set aside political differences in order to save money. Hoke and the council plan to pitch the idea to other entities in April.